An Overview on Acne - Live.Beauty.Full. 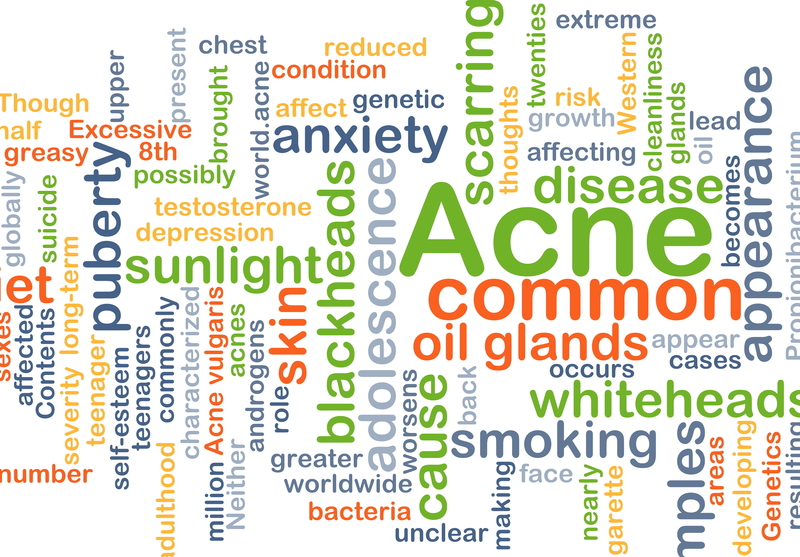 Acne is a common, yet complex skin condition that has many factors and theories surrounding it. To truly understand acne one must know the exact details that encompass acne: the signs and symptoms, who is affected, causes and triggers and the myriad solutions to treat acne. 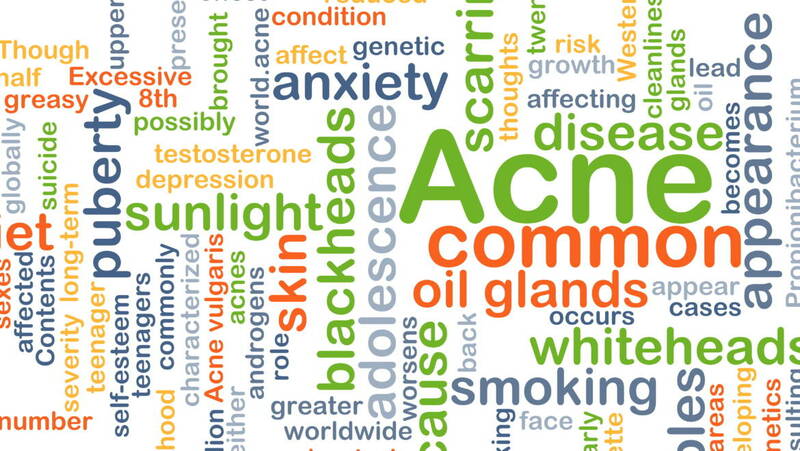 Acne is a chronic disease of inflammation that involves the hair follicles and oil glands. Did you know a disease is categorized as any departure from normal health, whereas a skin disease, in particular, is an infection of the skin with a visible lesion? For this reason, acne is considered a skin disease. Acne symptoms may range from mild with blackheads to severe with cysts and abscesses. These symptoms are usually seen on the face, chest, neck and shoulders, plus vary greatly on the cause, the severity of the acne and who is affected. According to the American Academy of Dermatology, acne is known to affect 80 percent, or approximately 40-50 million Americans making it the most common skin disorder in the U.S. Acne primarily affects preteens and teens, but may affect babies and adults as well. Other sources indicate that 87 percent of teens aged 15 to 18 years old experience acne. Both men and women experience acne, but women are affected more with approximately half of adult women still experiencing the stress of having this skin disease. The main causes of acne include excess oil and dead skin, bacteria, inflammation, genes and hormonal fluctuations. Unlike normally functioning skin that produces oil that easily empties onto the surface of the skin and sheds dead skin cells normally, acne prone skin produces excess oil and skin cells which fail to shed at a normal rate, thus clogging pores. When clogged pores are combined with the acne gene, bacteria and hormonal fluctuations—acne develops. Acne triggers include stress, diet, certain beauty products and excess manipulation (i.e. touching, picking, scrubbing, waxing). There are a number of ways to treat acne: cleanliness, skincare products and treatments, medications, supplements, herbs, chemical peels, laser treatments, etc. The best and most ideal solutions to treat acne include products that contain ingredients like benzoyl peroxide, salicylic, lactic acid, Vitamin A (Retinol or retinyl palmitate), sulfur and triclosan. 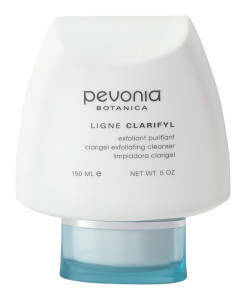 Pevonia® products that contain these active acne-fighters and provide results, include: Clarigel Exfoliating Cleanser; Problematic Skin Care Cream; Spot Treatment; SpaTeen® Blemished Skin Cleanser; SpaTeen® Blemished Skin Toner; SpaTeen® Blemished Skin Moisturizer and SpaTeen® Blemish-B-Gone. Estheticians and dermatologists help treat stubborn acne symptoms and prevent future breakouts from forming with deep pore cleansing facials, enzyme or chemical peels, intensive extractions, high frequency, light or laser treatments or medication. Note: Some state laws allow estheticians to render laser treatments and intensive extractions, while others do not. 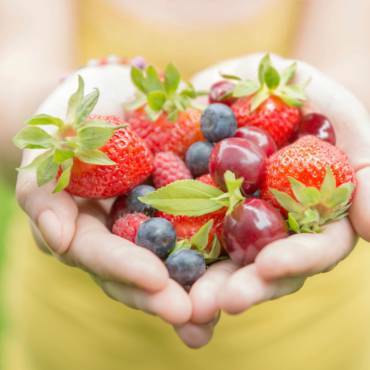 Interested in lifestyle modifications to help control acne? Reducing stress, eating better, rest and regular exercise can also provide praiseworthy results to those who suffer from acne.